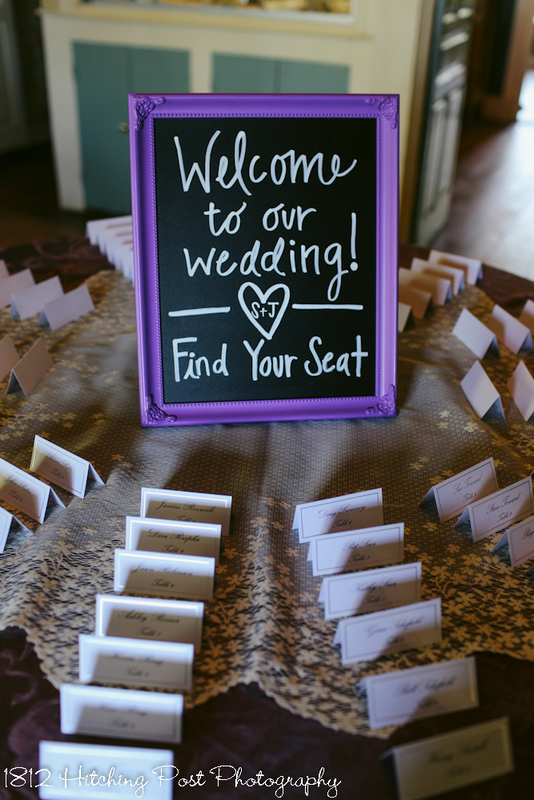 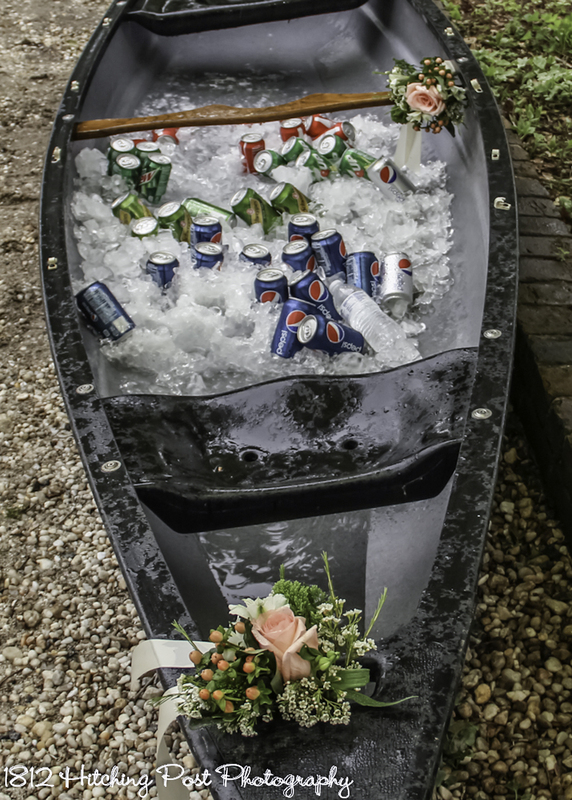 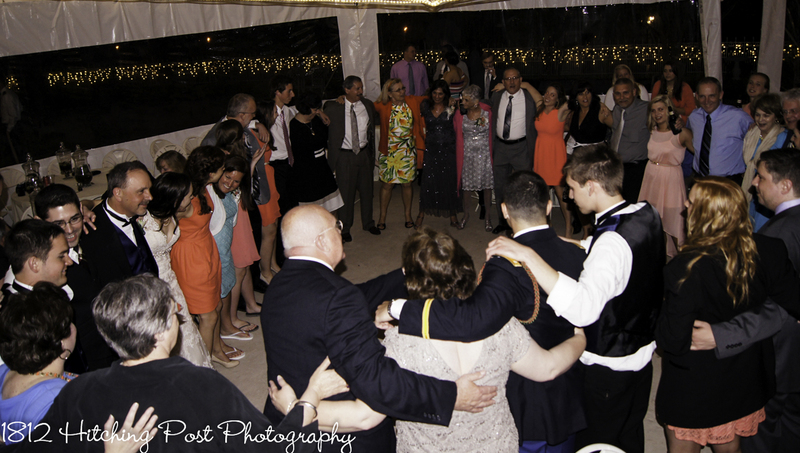 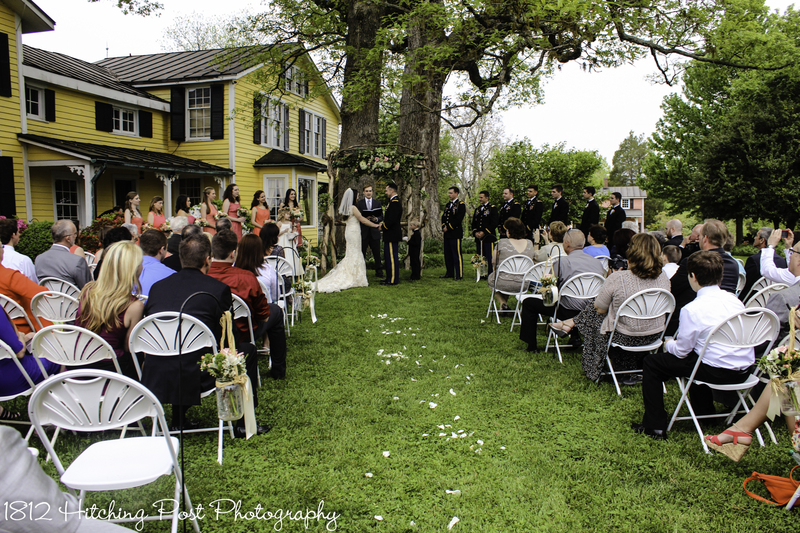 Sara and Jeremy had about 80 guests for their late April wedding. 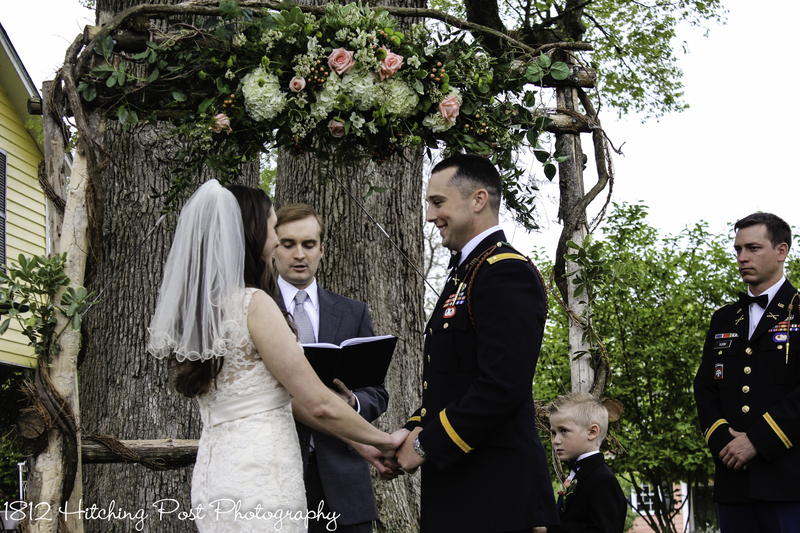 The ceremony, officiated by Rev. 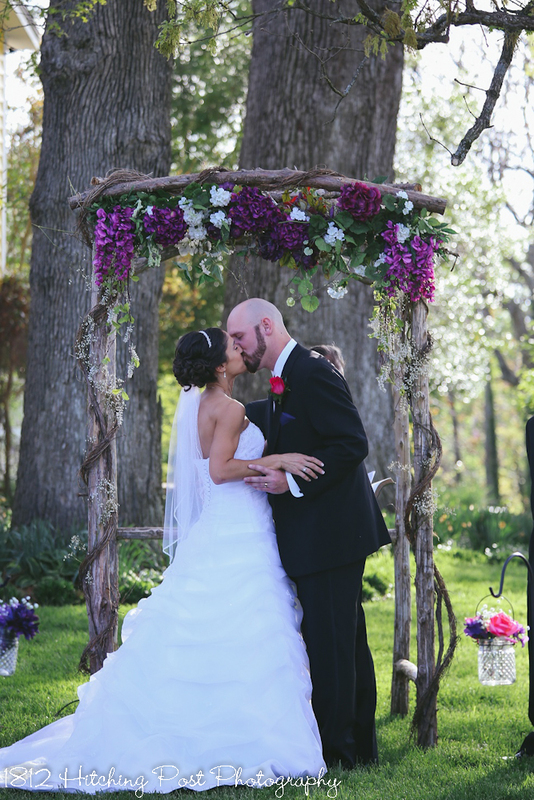 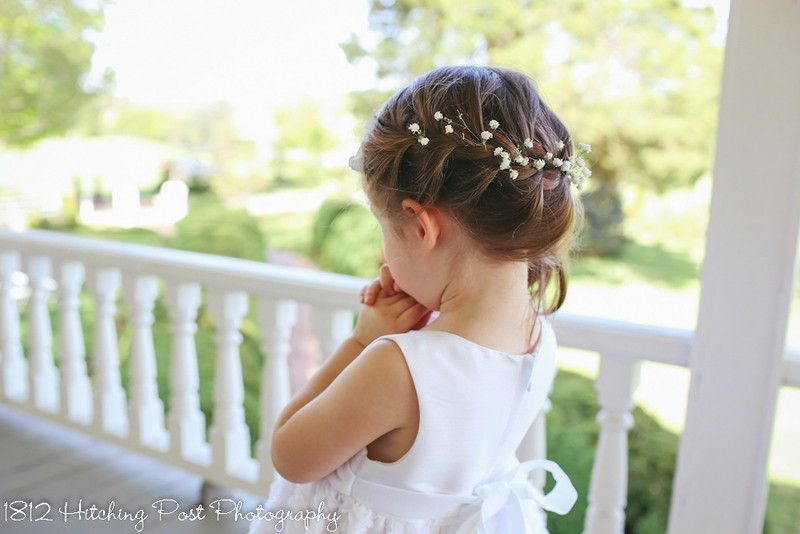 Patrick D. Waldron, was held under the rustic wood arbor decorated with silk deep purple flowers and babies breath. 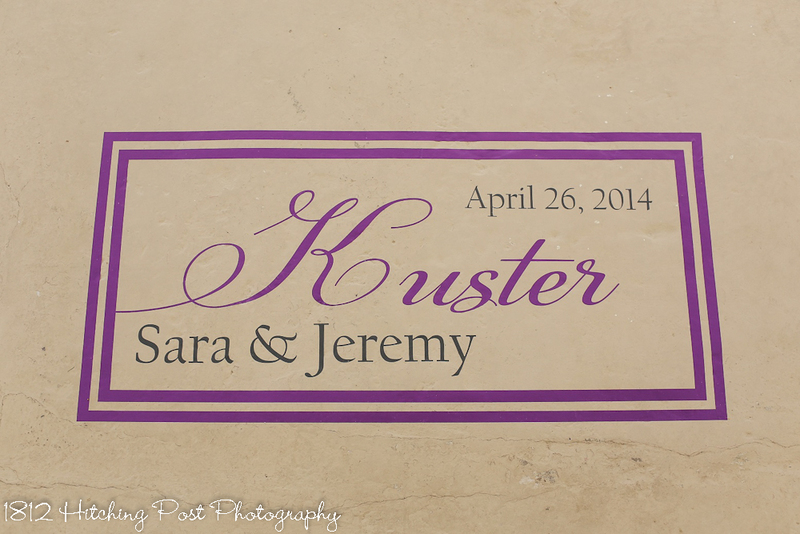 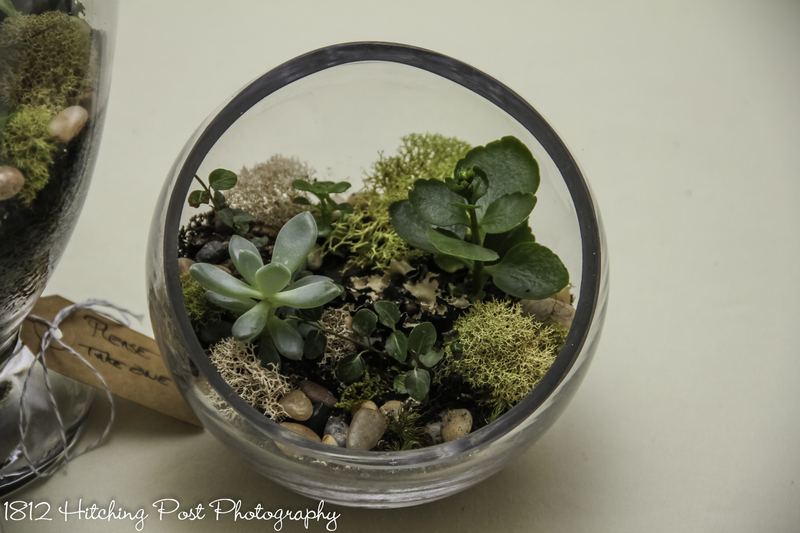 Their “guest book” was a trio of engagement photos framed with a mat to sign. 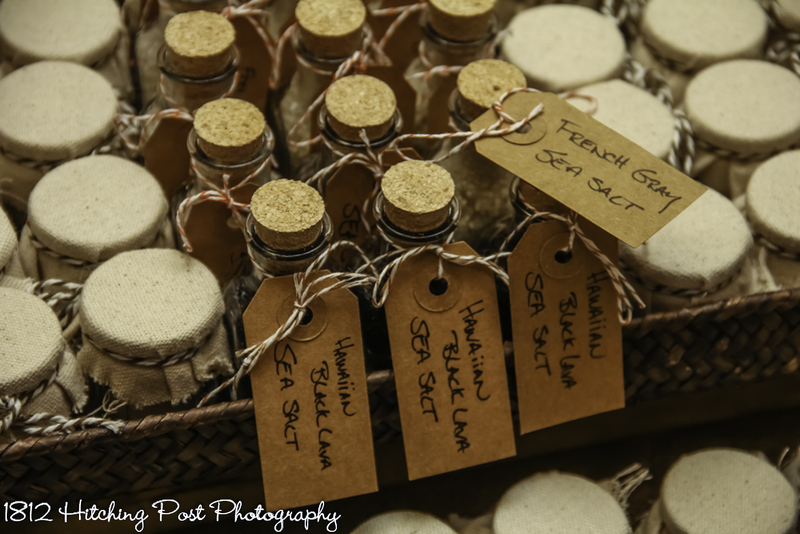 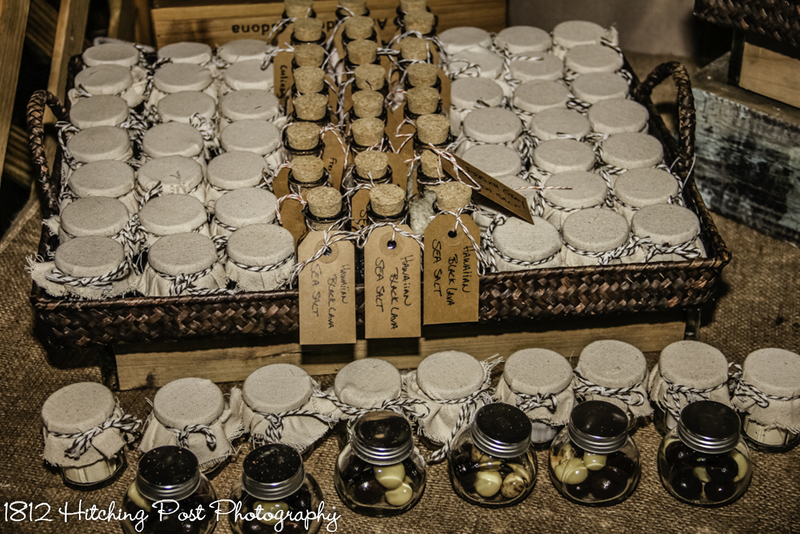 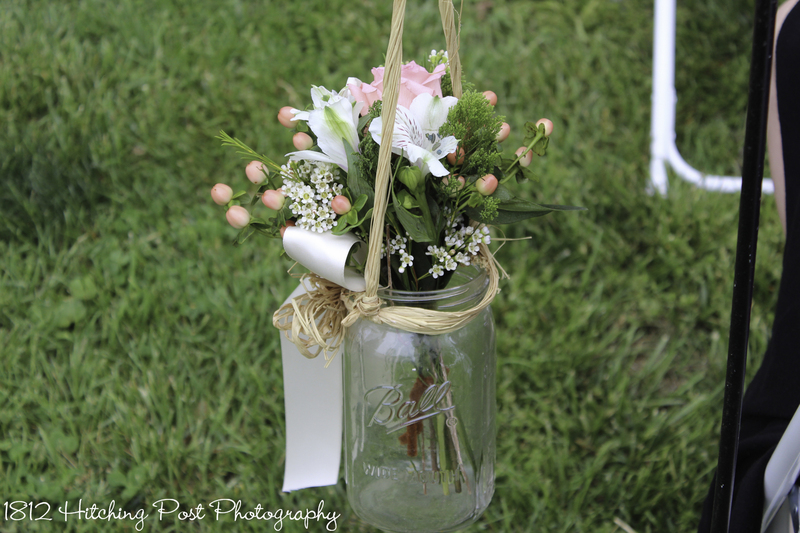 Shepherd’s hooks lined the aisles with knobby glass containers filled with flowers to coordinate with the bridal bouquets. 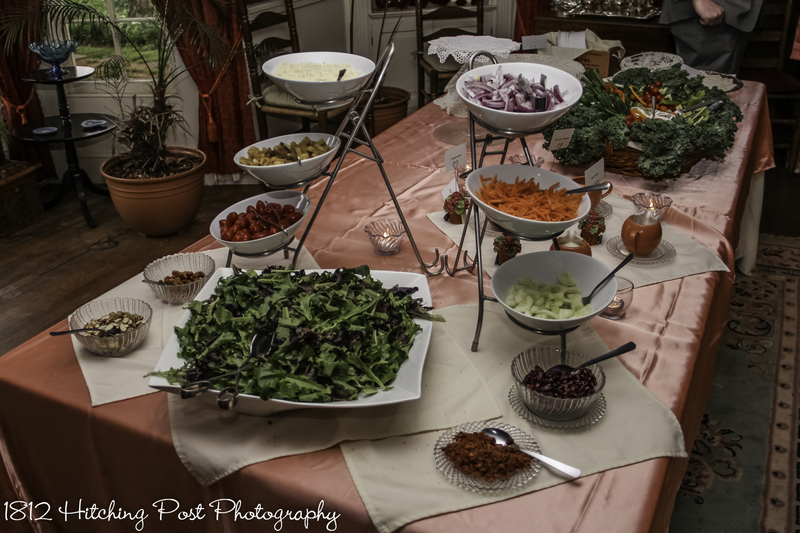 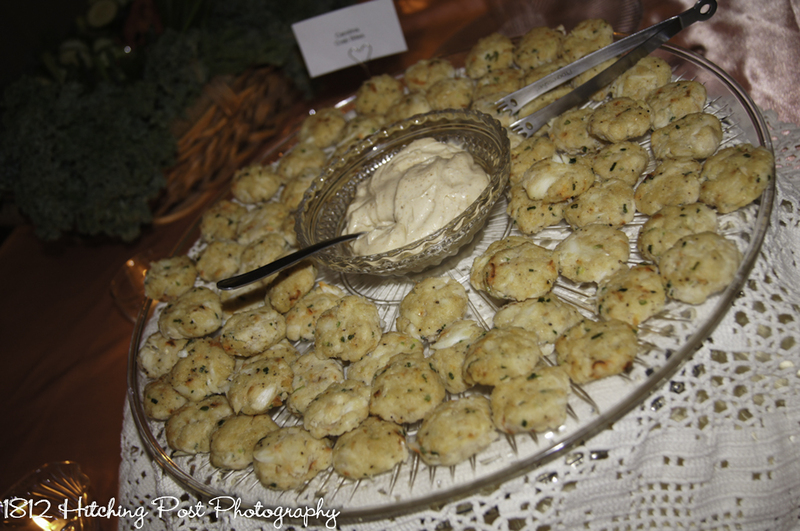 The menu included bruschetta, fruit kebabs, bar snacks, roast beef, grilled chicken and veggie kebabs, roasted red potatoes, and green beans with rolls and butter. 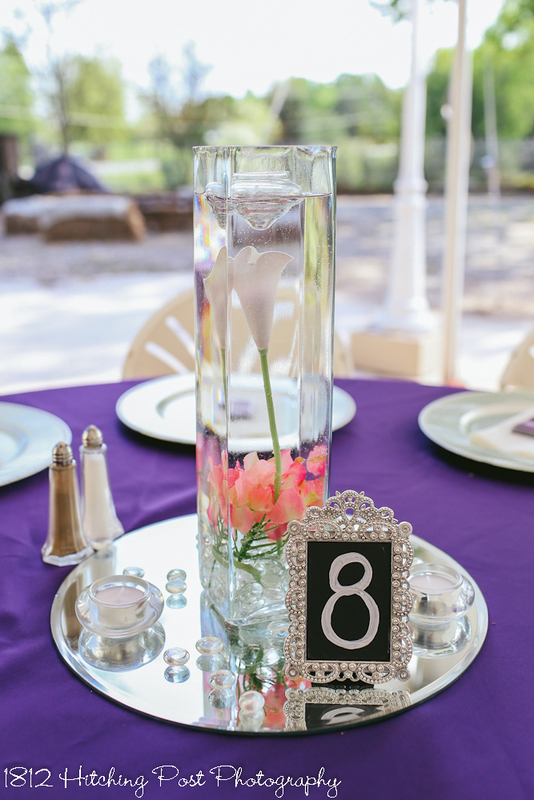 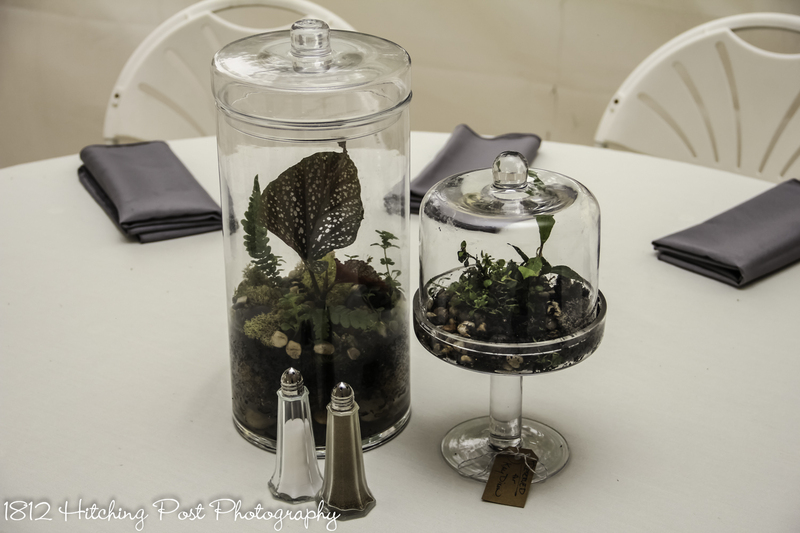 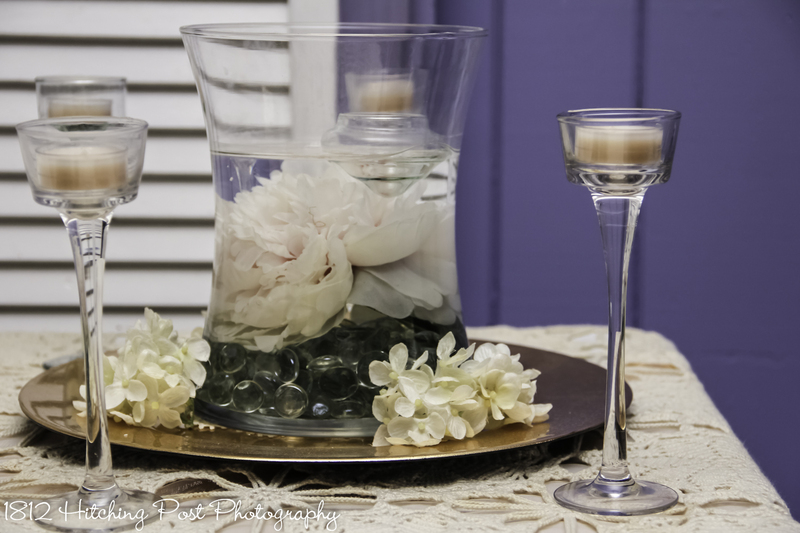 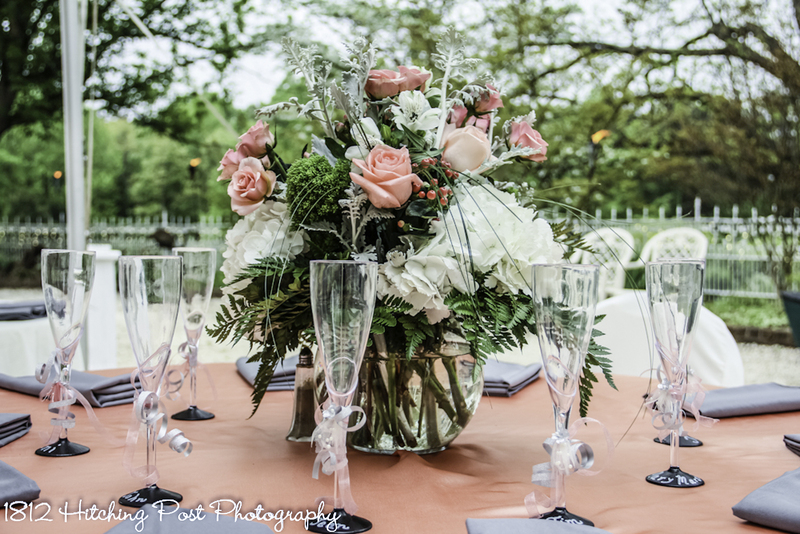 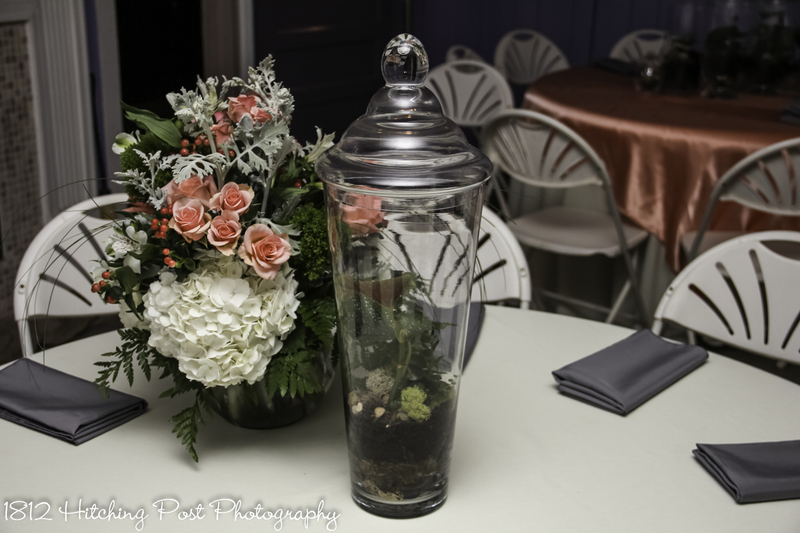 Centerpieces, provided by the 1812 Hitching Post, were submerged calla lilies and hydrangeas with floating candles and clear gems. 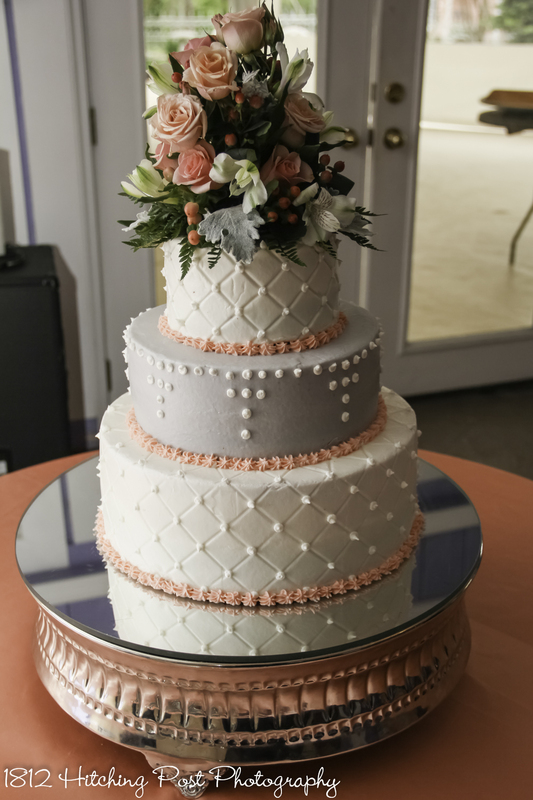 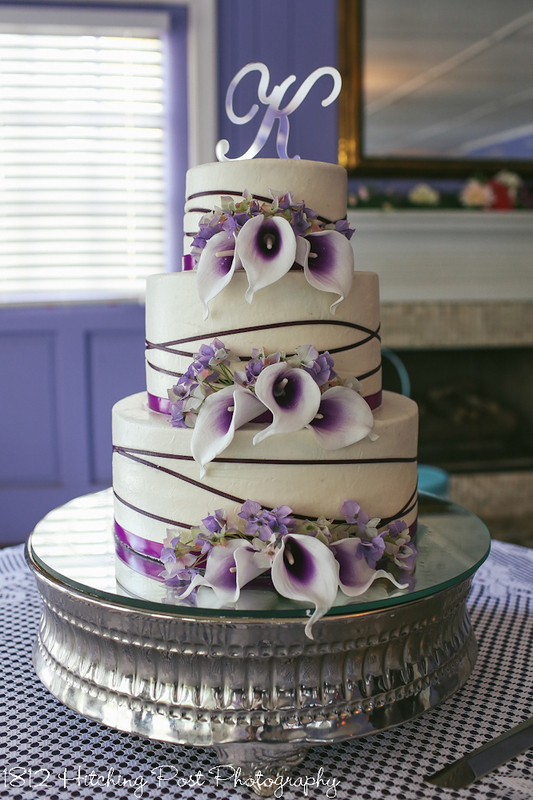 The cake was decoated with similar calla lilies and was yellow and chocolate in flavor. 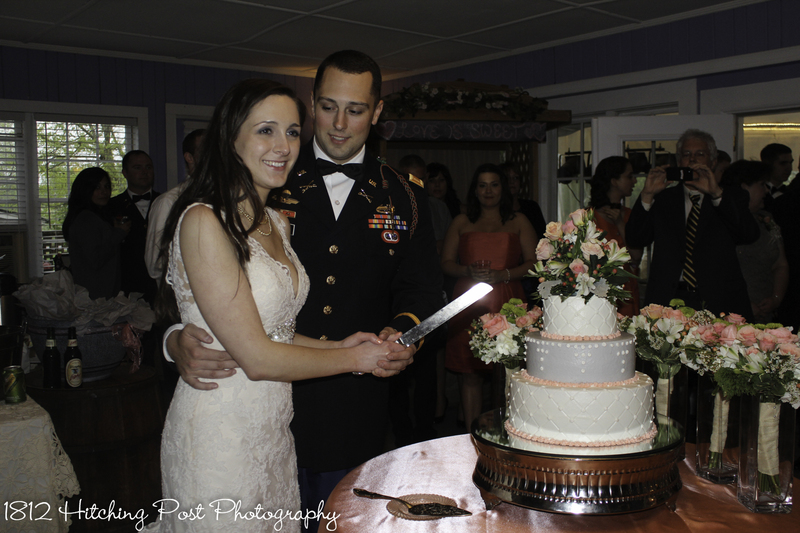 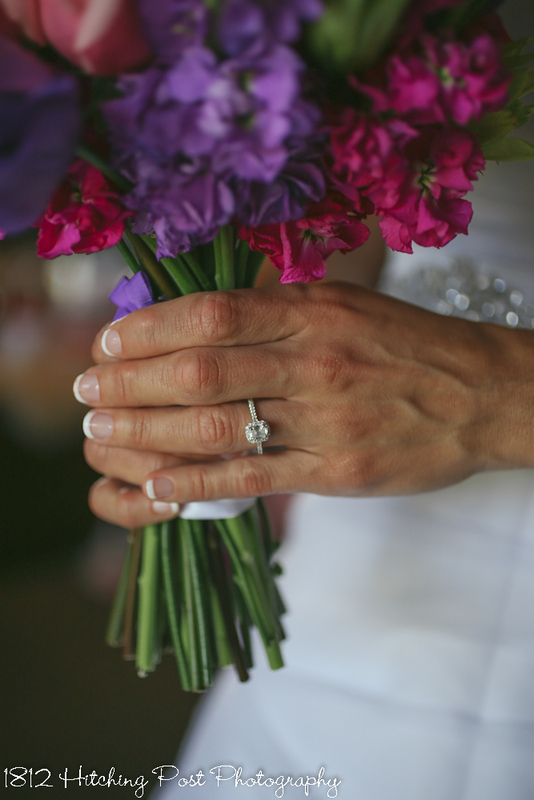 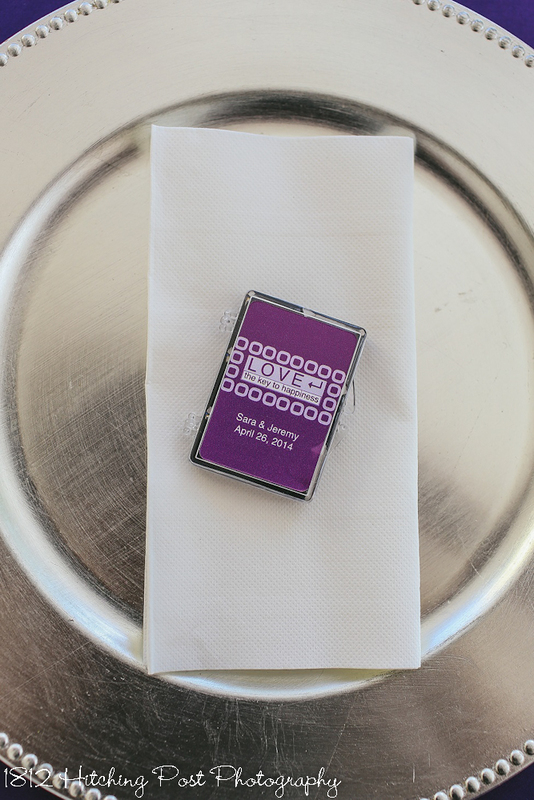 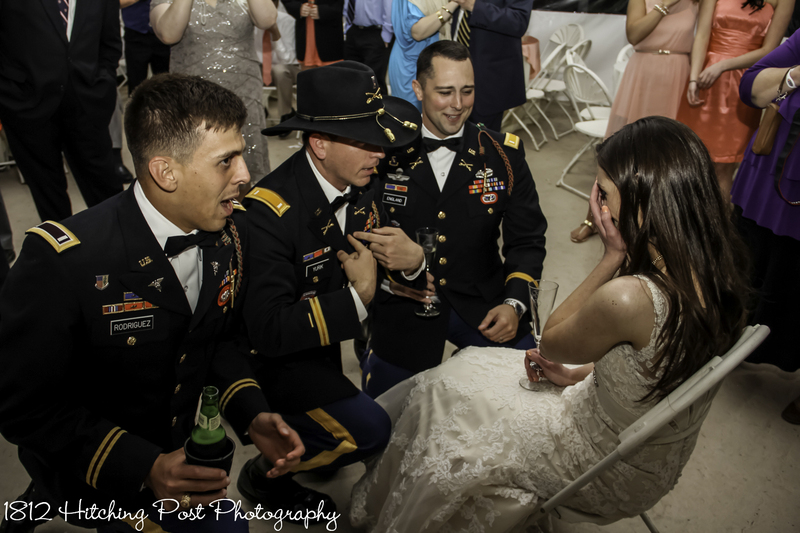 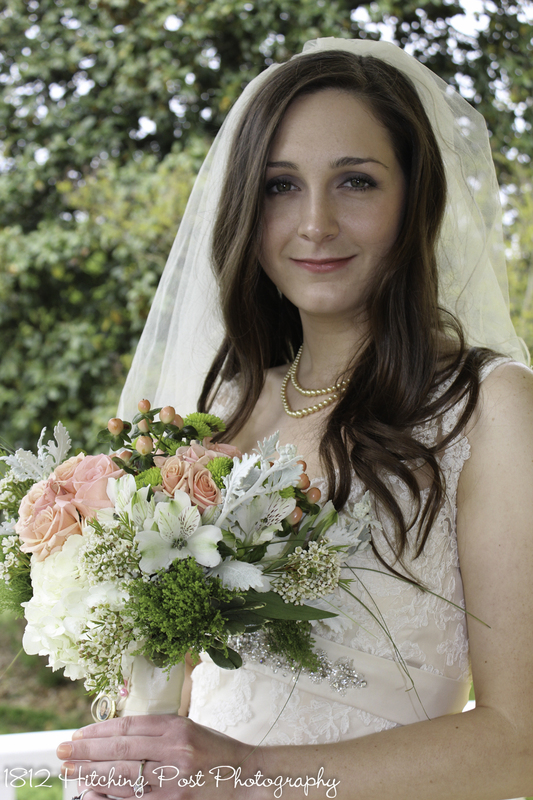 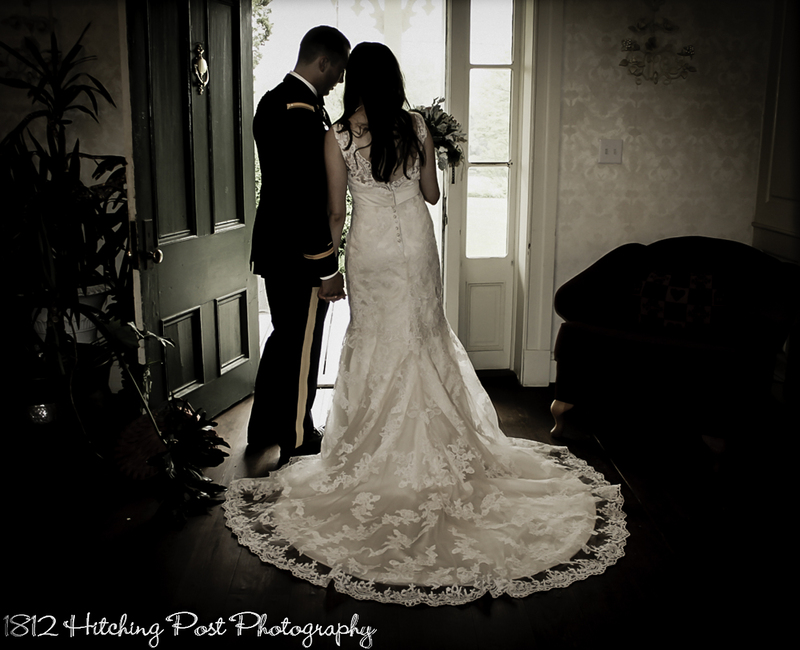 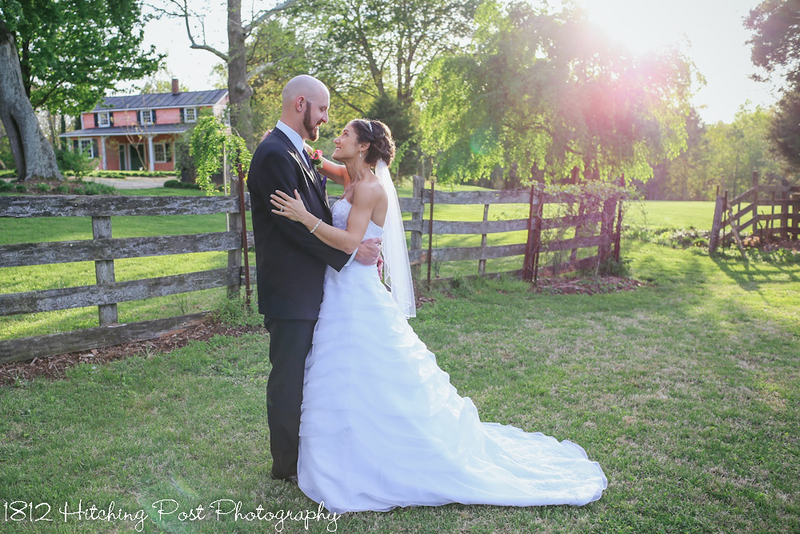 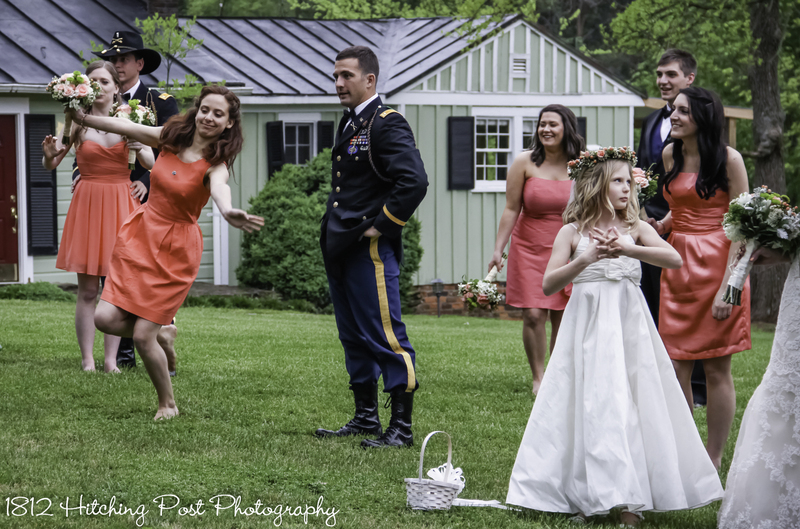 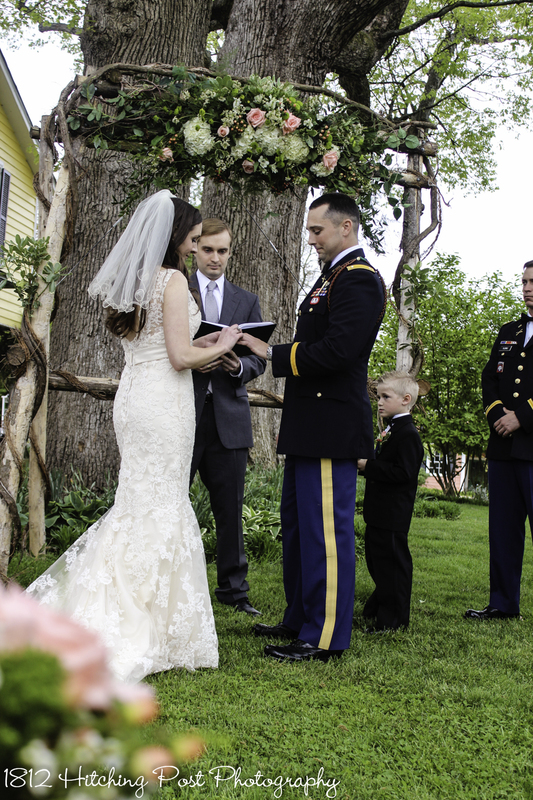 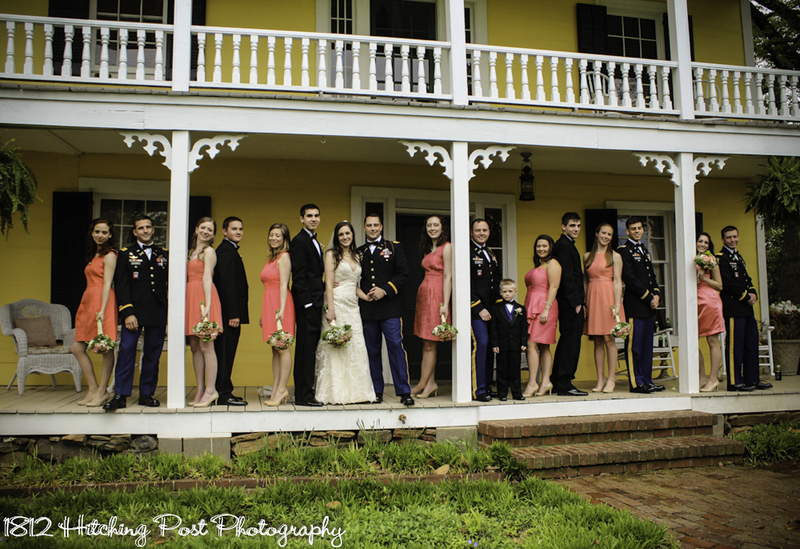 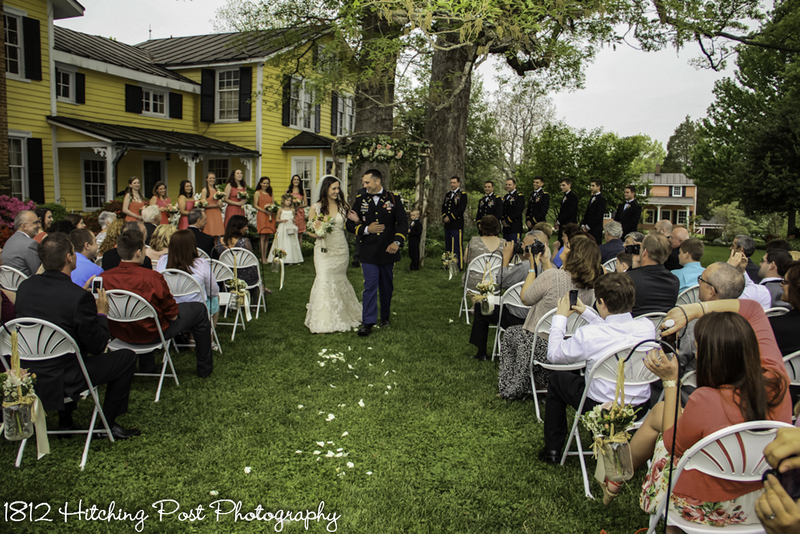 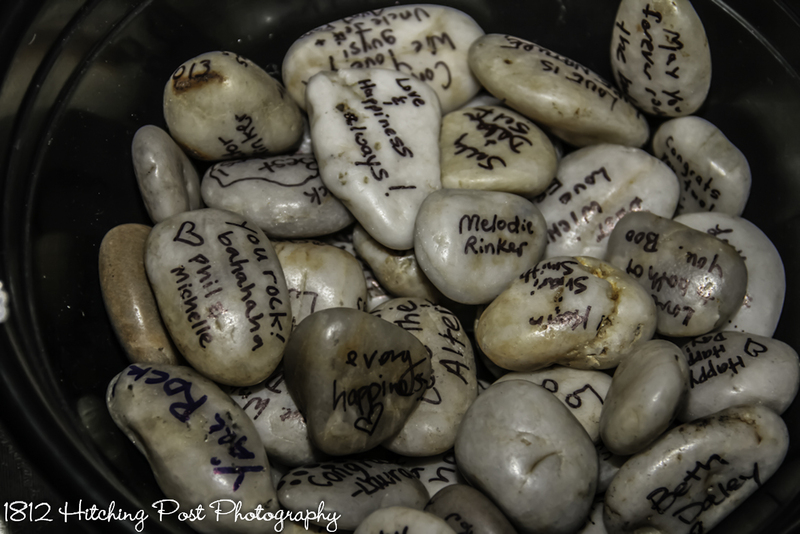 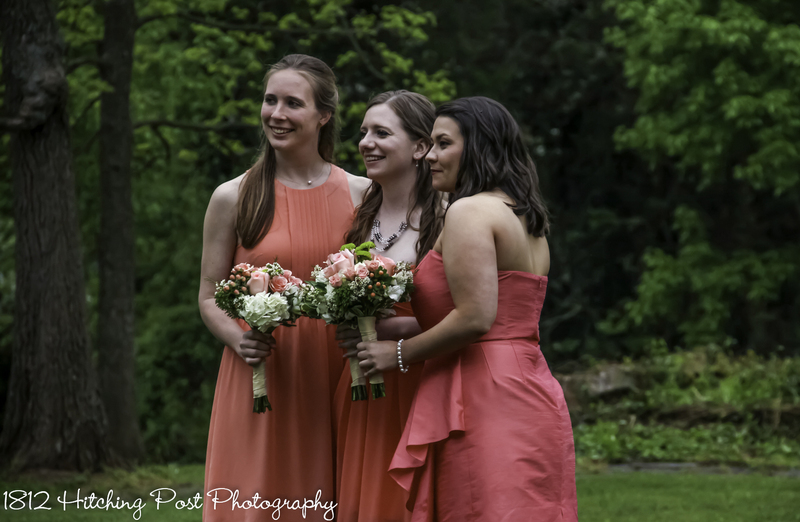 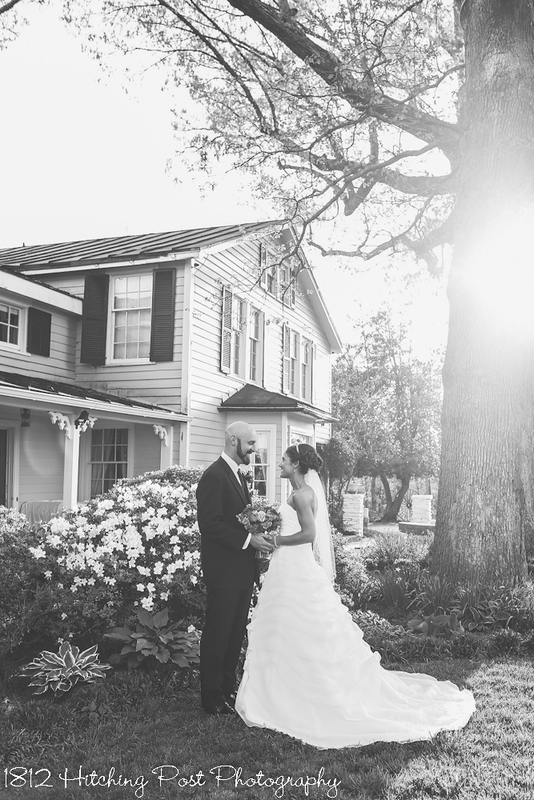 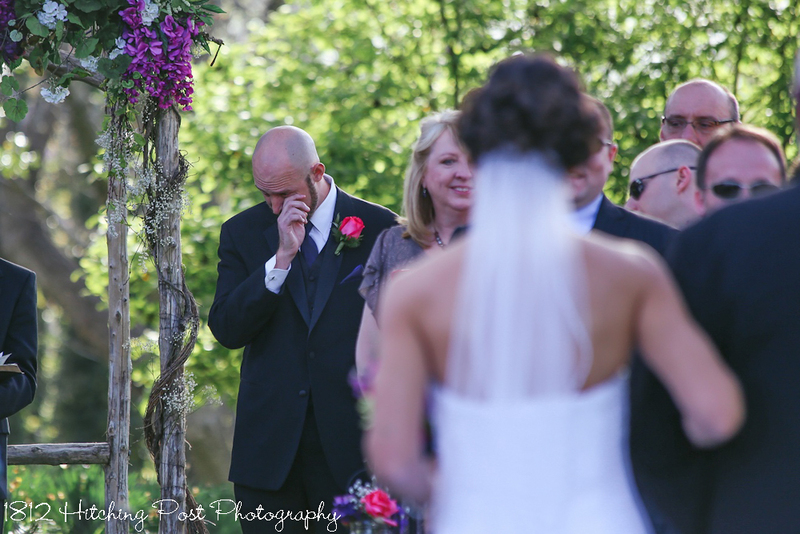 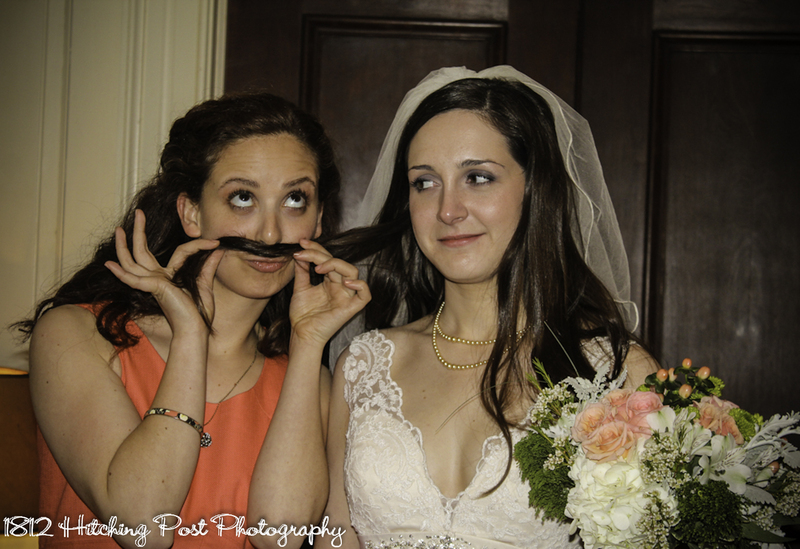 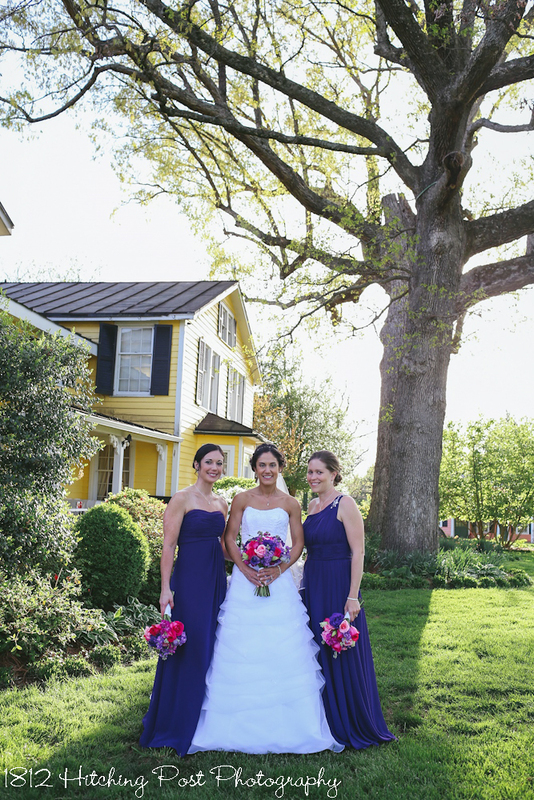 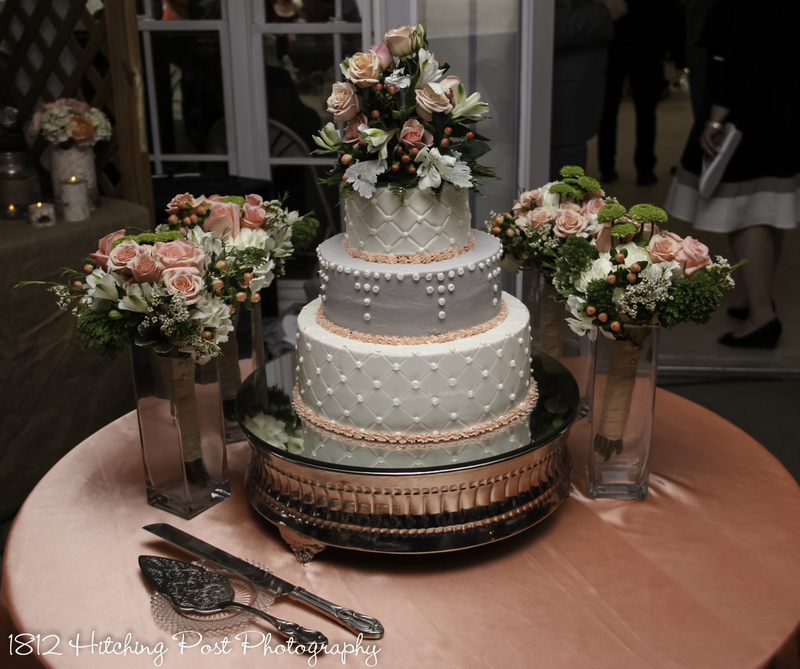 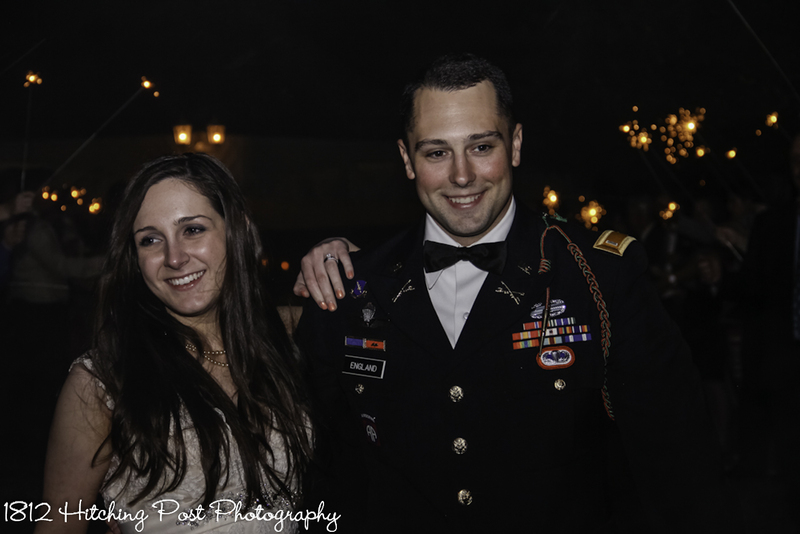 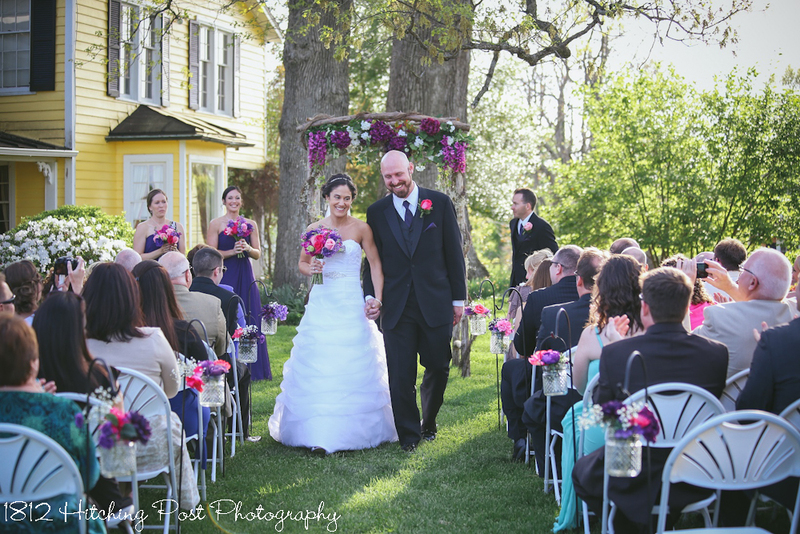 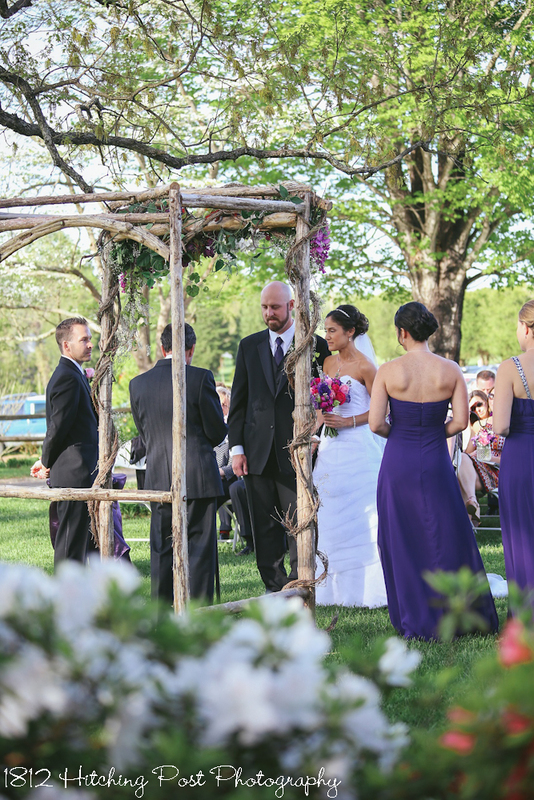 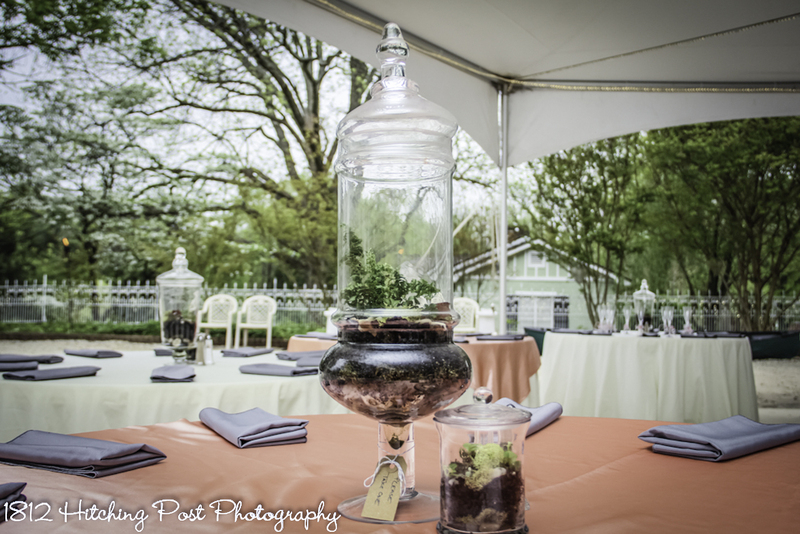 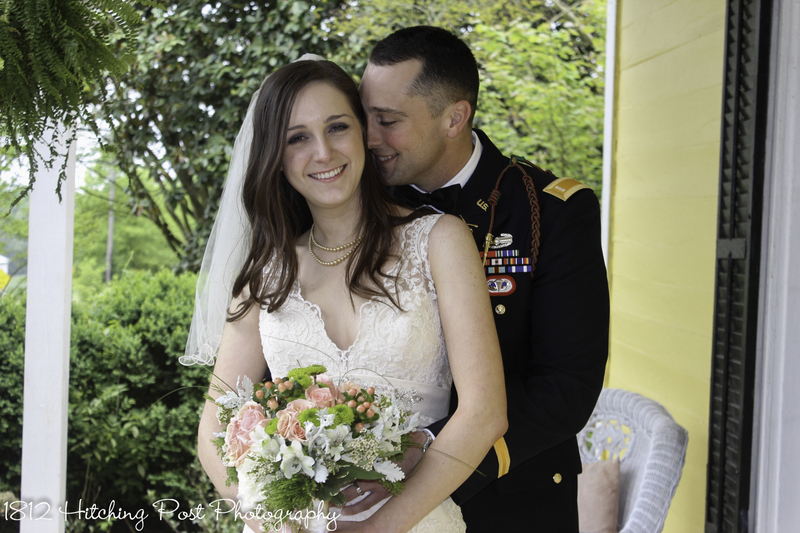 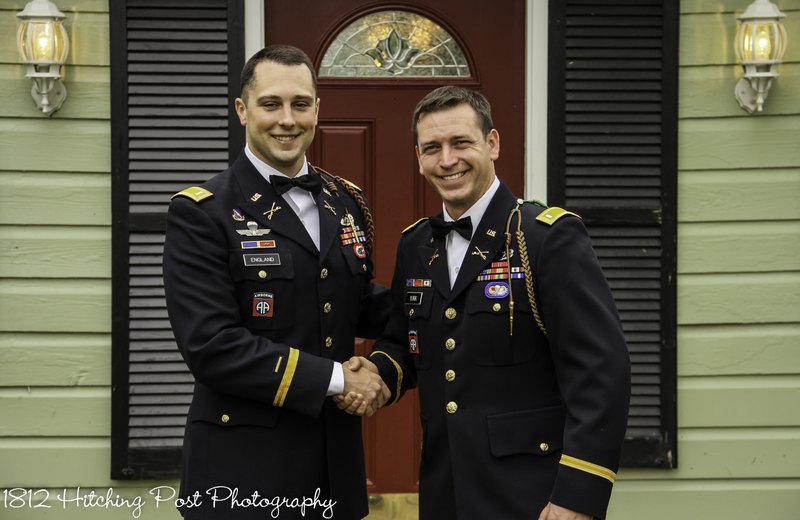 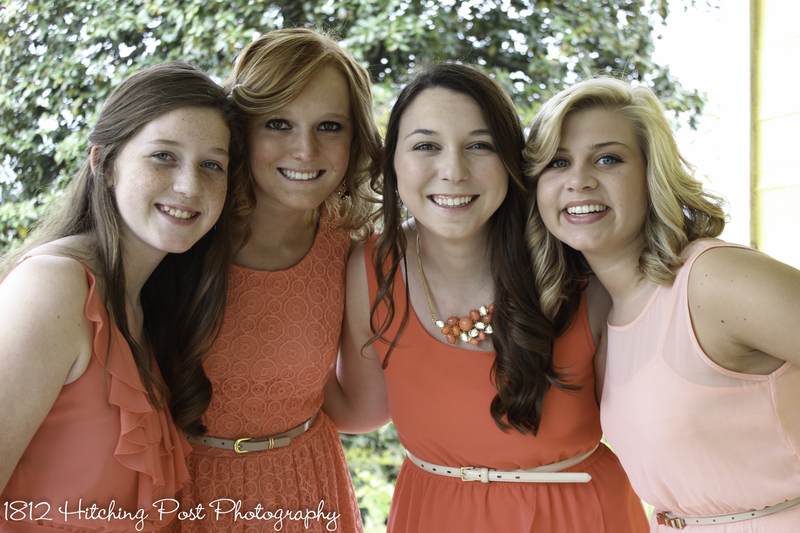 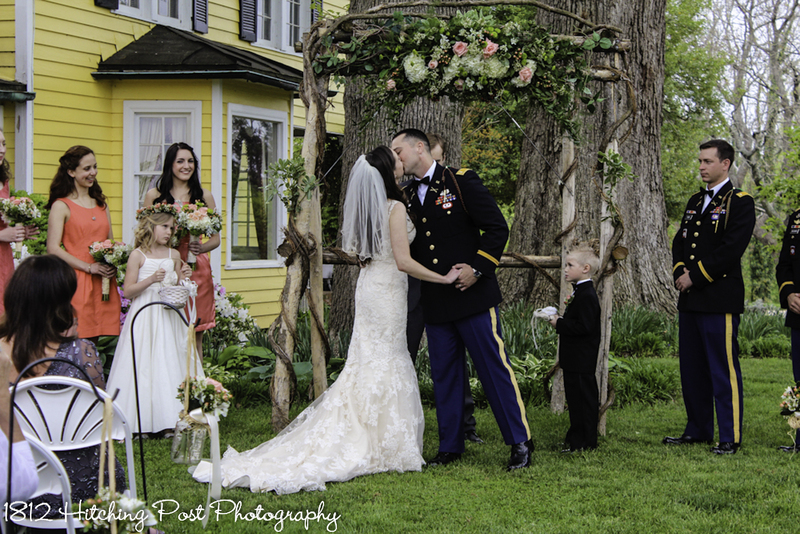 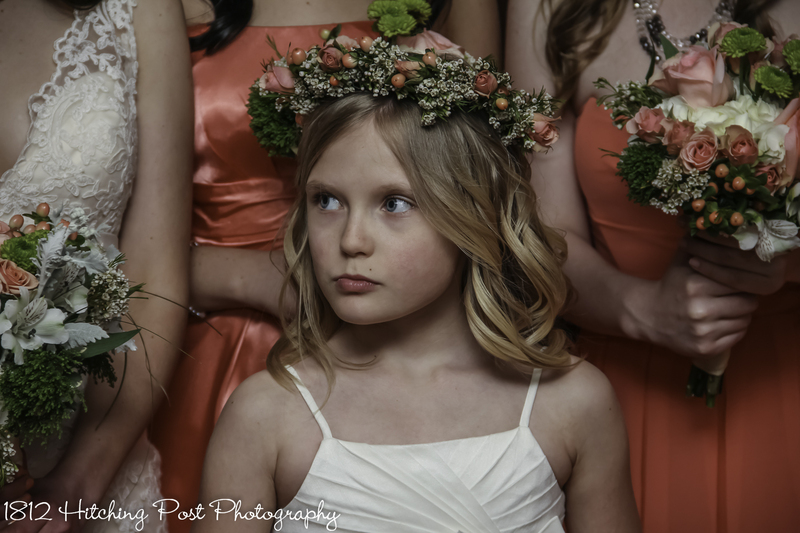 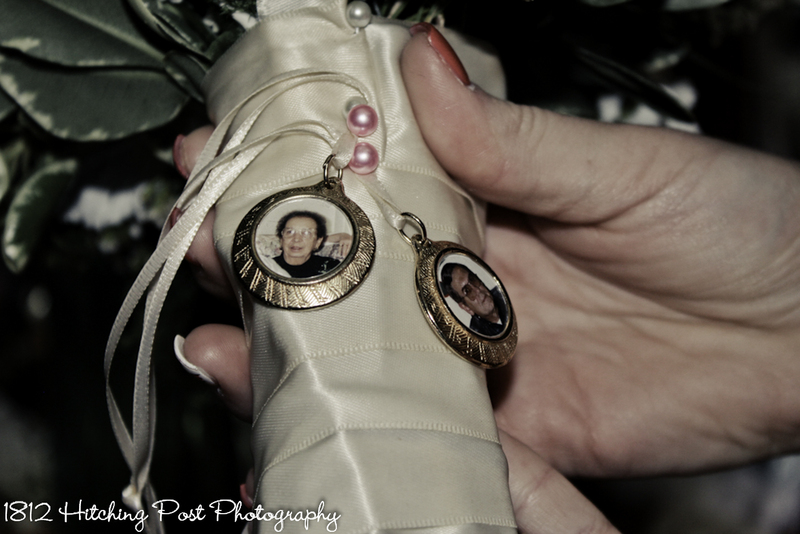 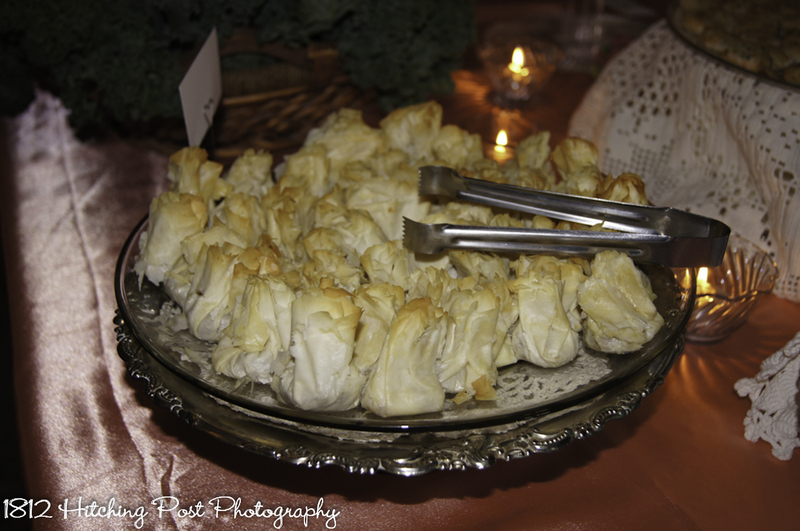 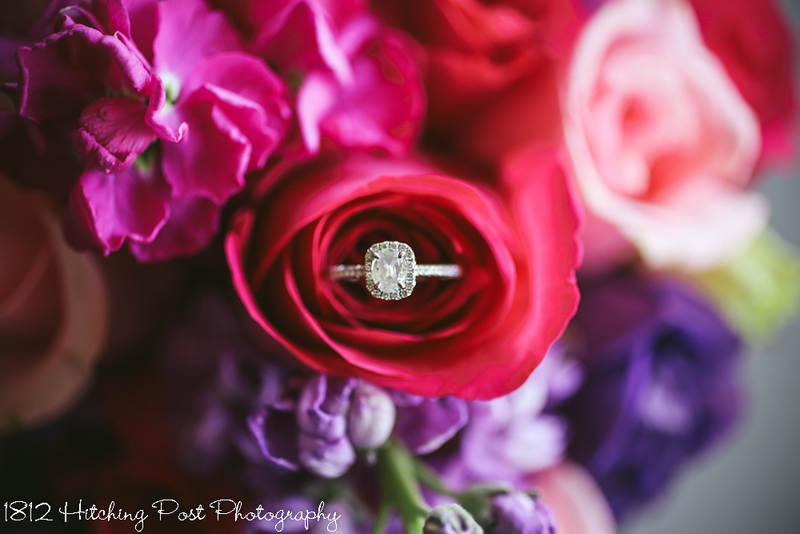 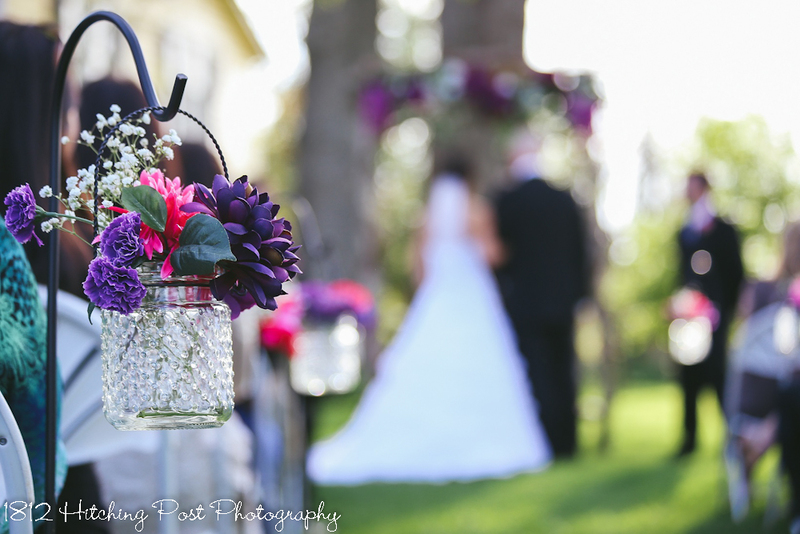 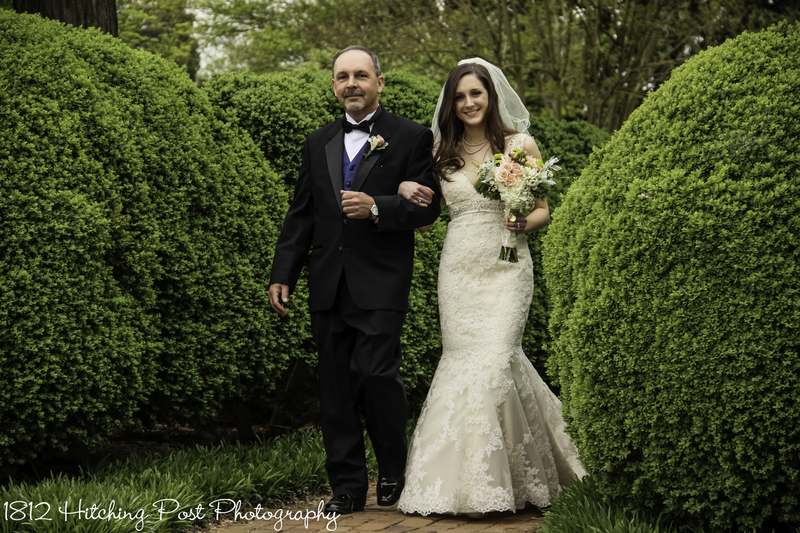 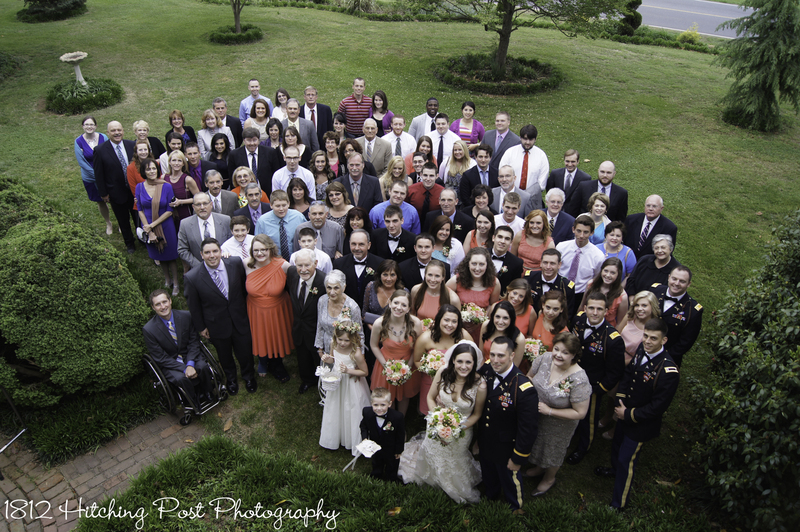 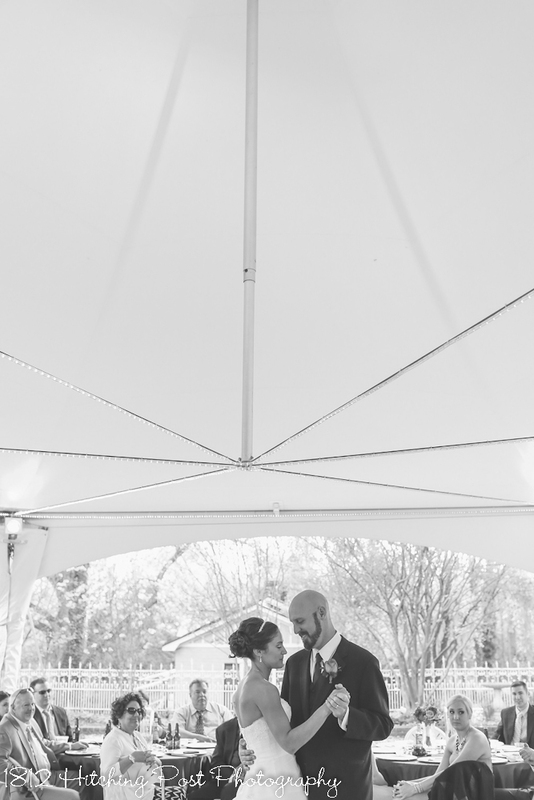 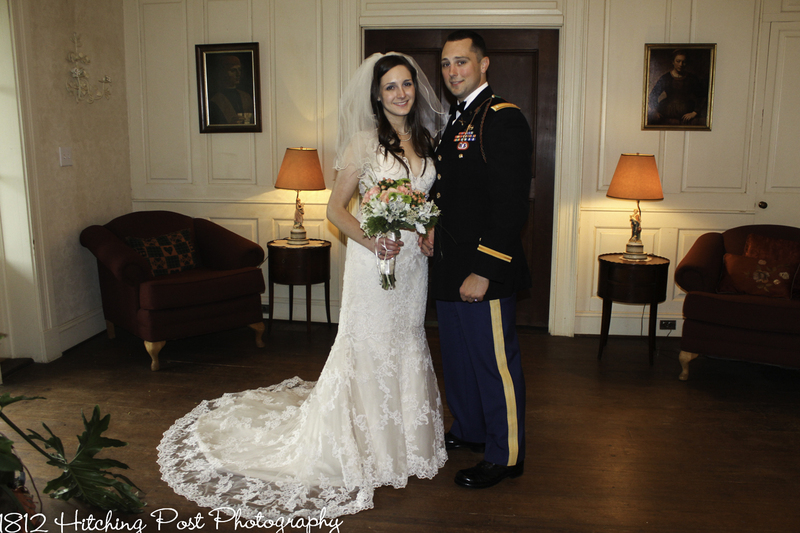 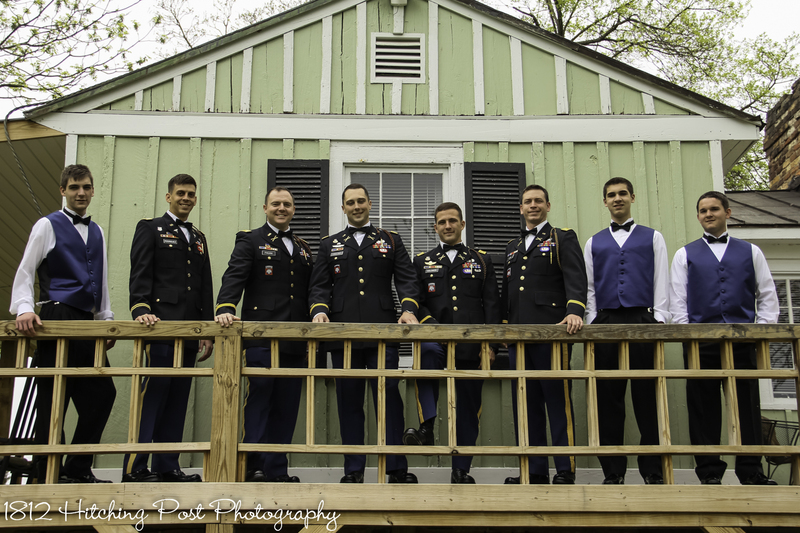 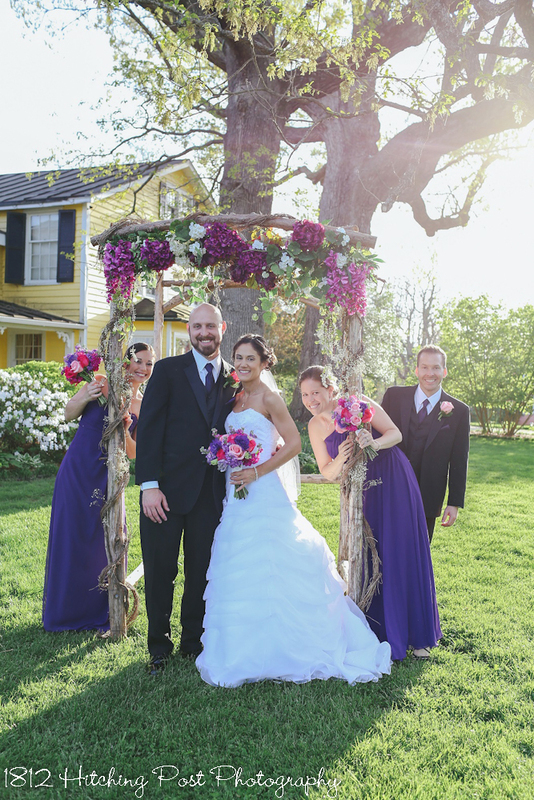 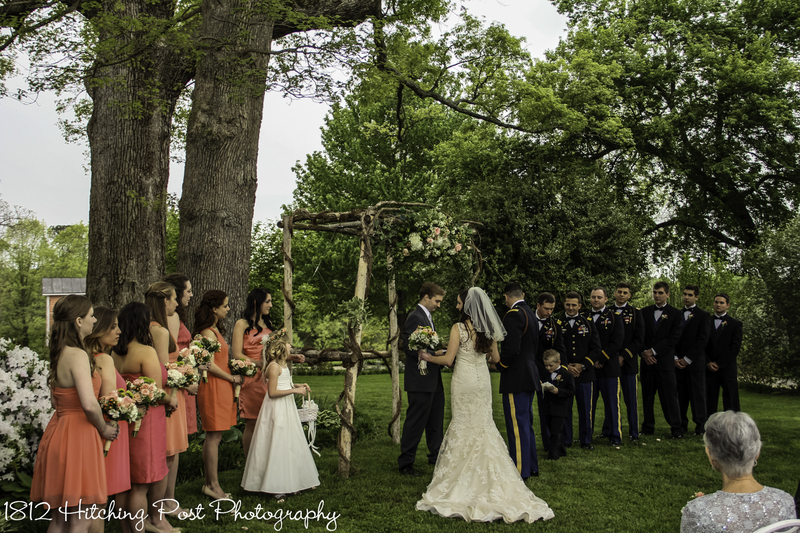 Taylor Gregory Photography covered the wedding on behalf of the 1812 Hitching Post.